* Environment : XEON Dual Quad-Core CPU (3.3GHz) on the Autodesk Linux system. 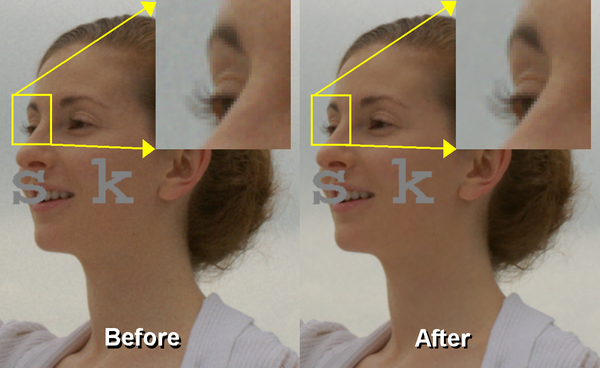 Easily beautifies harsh wrinkles in "close ups" of the skin. This is all the more important with the advent of HDTV where such details are easily visible. By simplifying tedious sequential operation usually required in beautifying the skin, O-gi frees editors for more important things. 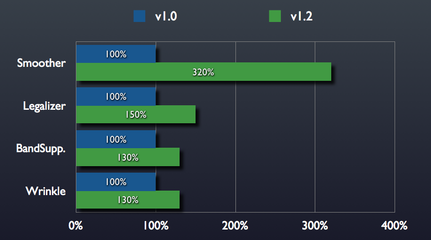 In addition, the operation is much faster than constructing complex node-trees which slow down render times. Suppresses "mach banding" on digital cel animation. Mach banding, where dark or light edges appear along the edge of a blurred contour between light and dark areas of an image, is a problem most likely to occur in color gradations on 8-bit digital cel animation. These bandings are troublesome because their visibility sometimes depends on the monitors being used and they often don't become visible until the DVD encoding is accomplished. If pre-processing is done using this Mach Band Suppressor prior to the final editing, this problem can be alleviated. Removes sparkle and grain noise while preserving edges and details. Most standard edge preserving filters allow you to blur the film grain noise but often require complicated parameter adjustments to remove the noise. 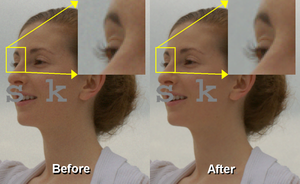 By using this Edge Preserving Smoother you can easily remove the noise with simple parameter adjustments. 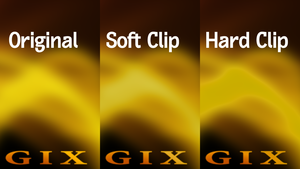 Brings luminance/chroma levels smoothly into conformance with video "legal" limits. With most video legalizers, video signals that exceed "legal" video limits would be just chopped off causing details to be lost and resulting in a degradation of the video quality. 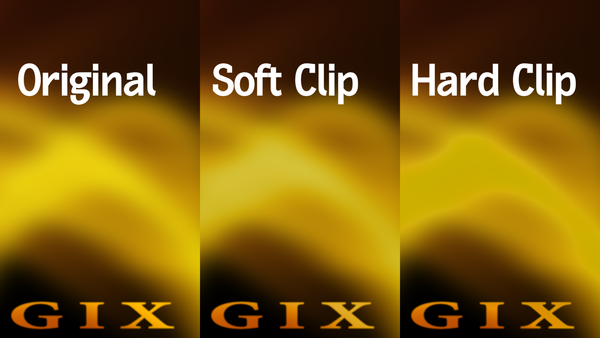 The Video Signal Legalizer "soft clips" the illegal signal, maintaining the original details. It is best used before generating your final output. Warns the video editiors of digital and analog video noise that may not be initially apparent when viewed on a monitor. This is especially true for noise that gets integrated when transferring to tape and back. - Block noise in the digital imagery. The Video Noise Detector visually alerts the editor to noise and displays it in an easy-to-see manner. In addition, it has a function which does restores small noise.